It's almost hard for me to believe NEC Home Electronics and Hudson Soft launched the PC Engine all the way back on Oct. 30, 1987. I say "almost" because I have fairly vivid childhood memories of ogling photos of the diminutive console that were published in North American gaming magazines around the time of its Japanese release. Considering it's been a good, long while since anyone's mistaken me for a kid, I'd say 30 years seems about right regarding when I first became aware of--and fell in love with--the PC Engine. 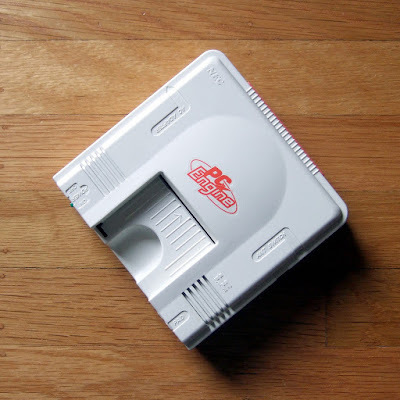 Of course, you don't have to be a decades-old fan of the PC Engine celebrate the 30th anniversary of its launch. Even those of you who are just discovering the system with this post can and should join in the fun. After all, the PC Engine was home to some of the wackiest video games ever to see the light of day--in my humble opinion, of course. Actually, it was home to a lot of games, period. Some were amazing, some were atrocious, but most continue to be worth at least a quick look if you tend to enjoy games made with pixels rather than polygons. Hell, I'm still becoming acquainted with the PC Engine and its vast catalog myself. For proof, see this post about the 12 HuCards (that's what the system's credit card-sized game carts are called) I've picked up this year alone. Itching to learn more about this deliciously odd little console? Read my write-up about five overlooked PC Engine games you should play as soon as possible. And when you're done with it, head over to this follow-up--which details five more overlooked HuCards I think are well worth even a few minutes of your time. I'd also recommend taking a look at my post about the best PC Engine game manuals I've seen (so far). And if that write-up trips your trigger, you'll probably enjoy looking through all 27 PC Engine manuals I've scanned and shared to date. Are any of you PC Engine fans, too? If so, let the love flow in the comments section that follows.